For the sake of keeping this post somewhat readable, I will skip the images in the super obvious steps. When deploying the OVF you’re greeted with a number of screens (source, template details, EULA, etc). Continue along, give the vRPA a nice name and place it in the correct datacenter and VM folder. I like to group my vRPAs by giving them a format as follows: XYZ-VRPA-11, XYZ being the customer name, VRPA being just that (the vRPA), and 11 corresponding to first cluster, first appliance. Hence the second vRPA in that cluster will become XYZ-VPRA-12 and the first appliance of the second cluster will be XYZ-VRPA-21. There’s no wrongs here; just pick a naming schedule that makes sense for you and your environment. At the Deployment Configuration screen you’ve got to determine the resource allocation to the vRPAs. Make sure that each vRPA in a cluster has the same amount of resources and ideally, the same amount of resources as the second RecoverPoint cluster (if it’s virtual). You need an identical number of appliances in both clusters. Keep in mind that you can increase the resources allocated to a RecoverPoint virtual appliance later on, which will take effect after rebooting the appliance. The next screen that’s worth taking a look at is the Networking screen. 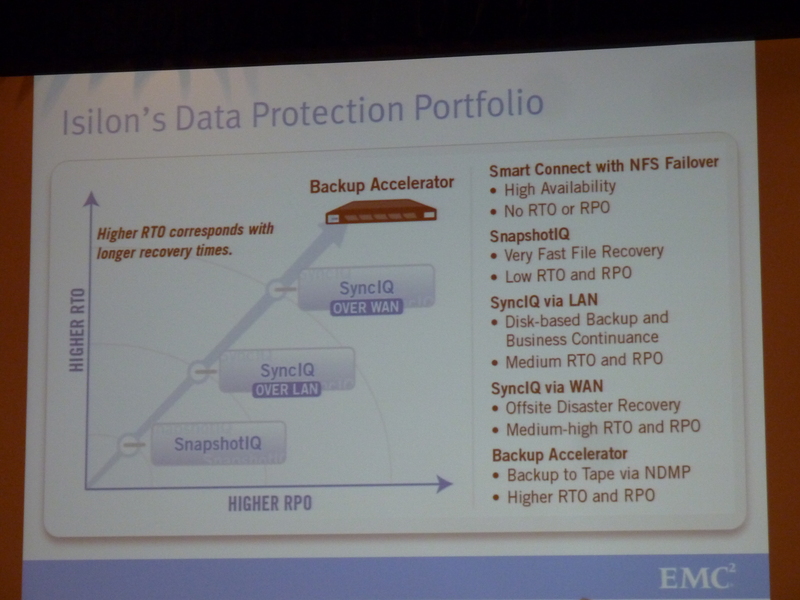 A vRPA has 4 NICs; one for LAN communciations, one for the WAN, two for iSCSI. In a high availability situation you will most likely have two separate iSCSI networks, one for each IP range. Make sure you are consistent across your vRPA deployments and select the right networks. In the next screen, choose the Fixed IP address allocation method. If you click Next, you’ll get the following screen. Enter your management IP for the vRPA. This is the LAN network in the previous screen. It’s perfectly okay to enter the same IP addresses you intend to later use for management – you do not need to add special “temporary” IP addresses. After clicking Next and Finish the vRPA will deploy. Repeat this procedure for the second vRPA in the cluster and for all the other clusters that contain vRPAs. You can’t mix vRPAs and physical RecoverPoint Appliances in one cluster, but you can let a physical RP cluster replicate to a virtual cluster. 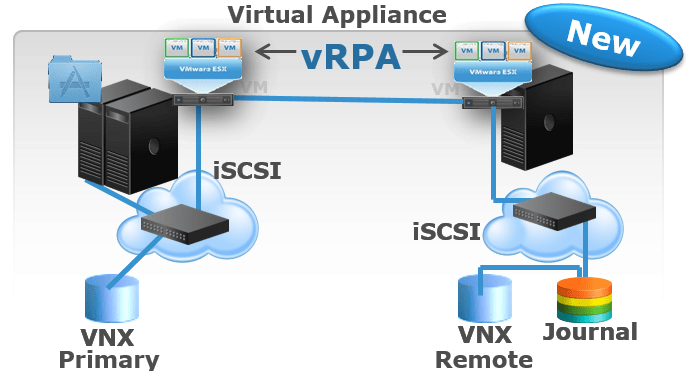 If all vRPAs are deployed you can start with the actual configuration. The configuration of a RecoverPoint cluster is performed with the RecoverPoint Deployment Manager (DM). This is an application that you can download from the support.emc.com website. Make sure you either download the latest version, or run the version check once you start the deployment manager. The screenshots used are from DM 2.1SP2 from Q4 2015; at time of writing there’s a 2.4 version. 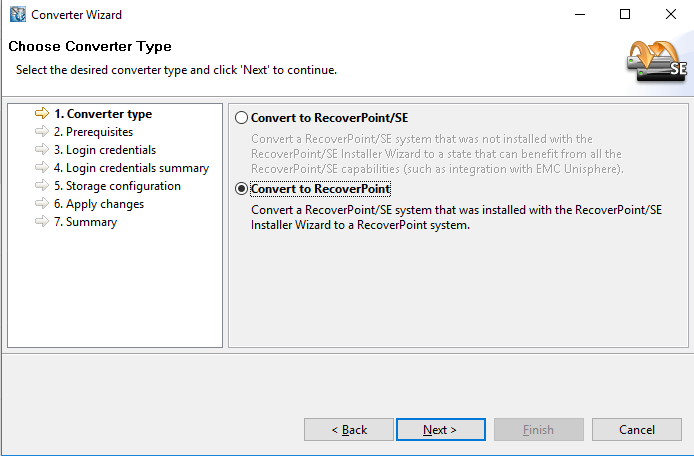 In the first couple of screens, make sure you select the appropriate version of RecoverPoint (in this case, 4.0 or later) and “Customer Installation”. It will display the three available wizards: a “RecoverPoint with VNX” installer, a “RecoverPoint with VNXe” installer and a “Connect Cluster” option. This deployment connects to a VNX, so I chose the first option. The prerequisites screen pops up: I’ve discussed a couple of prerequisites in the previous part of this series, but still make sure you read them thoroughly. If your environment meets the requirements, check the box and click next. Starting at “Environment Settings” the real configuration begins: you can find part 3 over here!